Currently, the team at the Jewellery magazine are loving the blue and white trend for SS16. 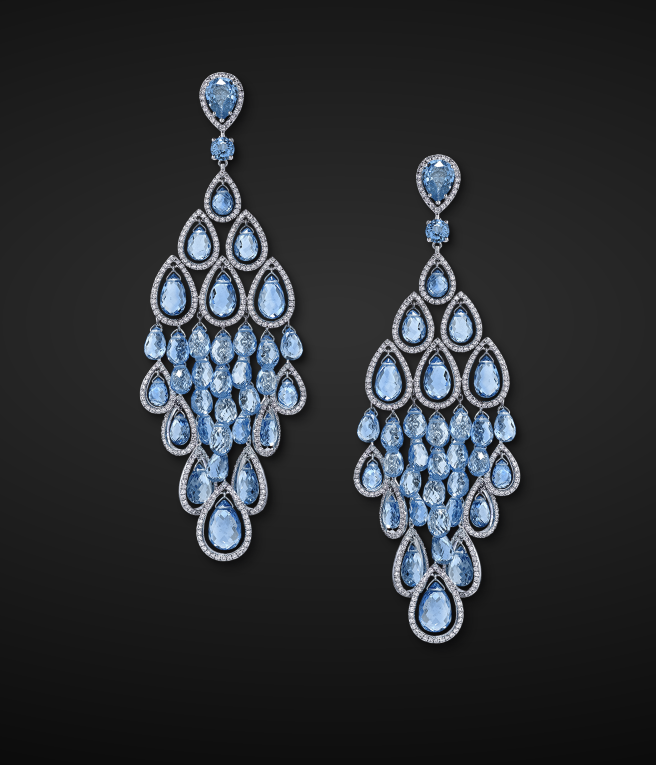 So, our obsession for today is these beautifully crafted aquamarine Briolette Earrings by Graff Diamonds. Graff Diamonds are well known for showcasing highly skilled craftsmanship in all their pieces. 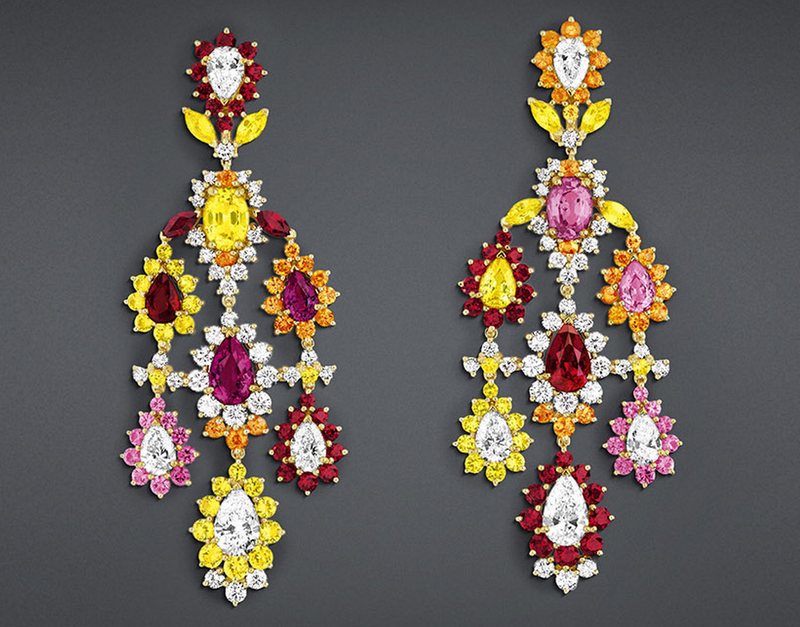 These earrings are 46.87 cts and are a highly desired item amongst their jetset clientele. If you can’t afford them don’t despair as Graff Diamonds has recently launched a book showcasing all of their fabulous pieces. The book, released by Rizzoli, tells of the success story of a rare self-taught expert in high jewellery, Laurence Graff, and his legendary masterpieces. This book cannot be missed as a perfect Christmas gift for that special someone who has a passion for all things which have that rare sparkle. Make sure you visit Graff diamonds at https://www.graffdiamonds.com/# to view all their luxurious style. This entry was posted in Jewellery Trends and tagged accessories, classic, costume jewellery, designer jewellery collections, designer jewelry collections, diamonds, earrings, elegance, fashion, fashion jewellery, fashion jewelry, fashion shows, fashion trends, Graff Diamonds, Graff Diamonds Briolette Earrings, Graff Diamonds collection, Graff diamonds earrings, Graff Diamonds high jewellery collection, Graff Diamonds high jewelry, Graff Diamonds high jewelry collection, Graff Diamonds new designs, haute couture, in fashion, in style, in vogue, jewellery, jewellery collections, jewellery design, jewelry, jewelry design, jewelry trends, new jewellery collections, online shopping, shop earrings, trending now. Bookmark the permalink. Established in 1993. de Grisogono have had incredible success considering their relatively short time involved in the world of jewellery. Fawaz Gruosi released a black diamond collection in 1996 that catapulted his jewellery line into a world wide phenomenon. While it might take centuries of evolution for a diamond to form, the rise of the de Grisogono label appeared to be an over night hit. There are some fashion labels that rely on the image of their designer just as much as they rely on the image of their pieces. 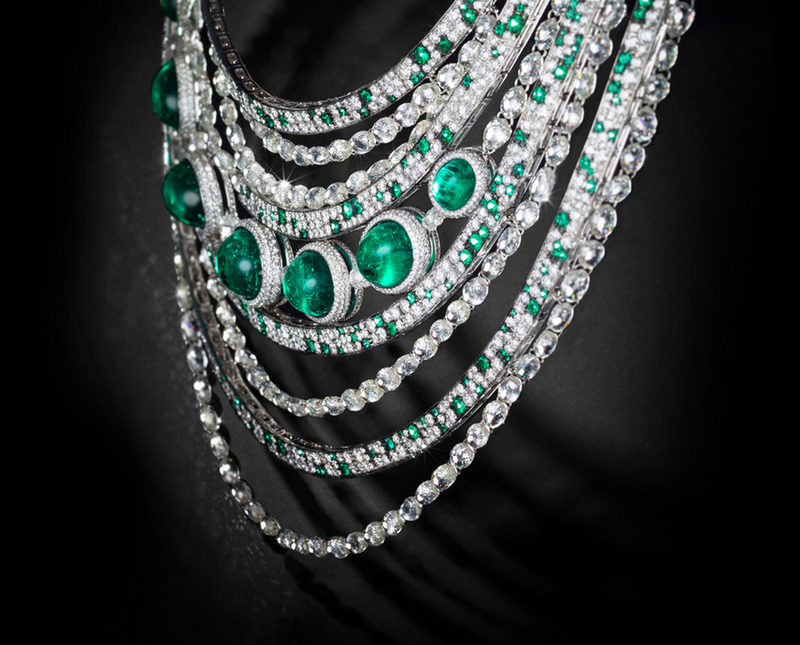 The strength of de Grisogono is that the character of Gruosi seeps through all of his designs. His watches are extravagant, but playful and his jewellery, like the necklace featured above, are charismatic and classy. Designers that stay true to themselves can sometimes find it tough to fit into a fashion scene driven by trends, but de Grisogono is certainly one of the more prominent success stories. We’ve written about fine jewellery quite regularly on http://www.theblingsociety.com blog and we believe that these pieces from de Grisogono are some of the best we’ve laid eyes upon. This entry was posted in Jewellery, Jewellery Trends, The-Bling-Society and tagged accessories, classic, costume jewellery, de Grisogono, de Grisogono Diamond, de Grisogono Fawaz Gruosi, de Grisogono green, de Grisogono jewellery, de Grisogono necklace, designer jewellery collections, Diamond Necklaces, diamonds, elegance, fashion, fashion jewellery, fashion necklaces, Fawaz Gruosi, Fawaz Gruosi desinger, Fawaz Gruosi jewellery, Fine Jewellery, in fashion, in vogue, Jewellery collection, jewellery collections, jewellery design, jewellery designers, jewelry, jewelry design, necklaces, on trend, On trend de Grisogono, online, Partnership, shop necklaces, style, trending now. Bookmark the permalink. I’m envious of the jewellery designers who are employed at big name companies such as Chanel and Dior, who get to design with seemingly limitless budgets. Previously on this blog we’ve shown some of the work of Chanel, and now we are featuring some of Dior’s fine Jewellery. When it comes to these pieces, it seems that all levels of practicality have just been thrown out the door. There isn’t one diamond, there’s a billion, and they aren’t just one shade, but an entire spectrum of colour and flamboyance. How are you supposed to walk around in the real world with a million carats hanging from your ears? It’d be lighter just to use real carrots! But it’s the flamboyance that we love. This design is so multi faceted that I first had to double check to make sure these designs aren’t just plastic imitations. The accuracy that would go into the crafting of these items is simply mind boggling. Grab some herbal tea, a biscuit or two, and just flick through these pictures of pure grandeur. This entry was posted in Jewellery, Jewellery Trends, The-Bling-Society and tagged accessories, Chanel, Cher Dior, Cher dior collection, cher Dior Fine Jewellery collection, classic, costume jewellery, designer jewellery collections, Diamond Necklaces, diamonds, Dior, Dior Fine Jewellery, elegance, fashion, fashion jewellery, fashion necklaces, Fine Jewellery, in fashion, in vogue, Jewellery collection, jewellery collections, jewellery design, jewellery designers, jewelry, jewelry design, necklaces, on trend, online, Partnership, shop necklaces, style, trending now. Bookmark the permalink. Chanel Fine Jewellery is one of the closest things fashion has to art. A great piece of art isn’t just something that looks good to the eye, it has to be thought provoking, emotive and the execution of the initial designs need to be perfectly accurate. Even though I haven’t seen the original designs, I feel I can draw the conclusion that these pieces from Chanel have been crafted with great precision. The detail and creativity in these pieces are something to be celebrated. I’d strongly advise you take your own time to filter through all of the photos from this collection. The layout on the Chanel website allows the jewellery to shine and adds to the grandeur of the Chanel label. I found some of the Gabrielle Chanel quotes to be a little tacky, but after the worldwide success Chanel has enjoyed, I suppose they are allowed to toot their own horn a little. 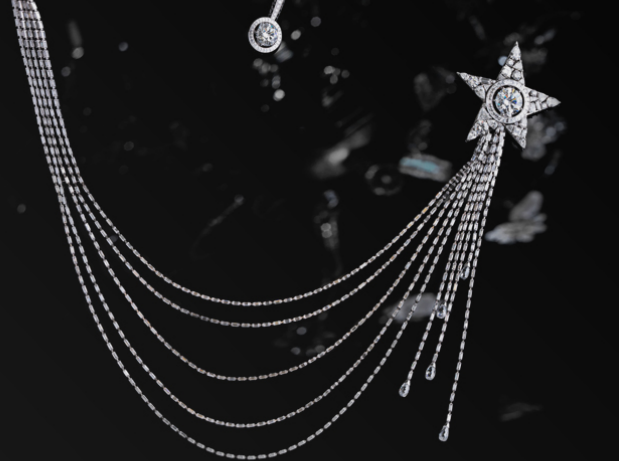 The different sections that make up the 80th Anniversary Chanel High Jewellery collection are titled: Comete, Soleil, Ruban, Franges and Constellation du Lion. Furthermore, each section then contains its own pieces inside, so there is plenty for you to look at. My Favourite would be the Comete. This entry was posted in Jewellery, Jewellery Trends, The-Bling-Society and tagged accessories, Chanel, Chanel 80th Anniversary, Chanel 80th anniversary High Jewellery, Chanel 80th anniversary High Jewelry, Chanel Comete, Chanel Constellation du Lion, Chanel Fine Jewellery, Chanel Franges, Chanel High Jewellery, Chanel High Jewelry, Chanel Ruban, Chanel Soleil, classic, costume jewellery, designer jewellery collections, Diamond Necklaces, diamonds, elegance, fashion, fashion jewellery, fashion necklaces, Gabrielle Chanel, in fashion, in vogue, Jewellery collection, jewellery collections, jewellery design, jewelry, jewelry design, necklaces, on trend, online, Partnership, shop necklaces, style, trending now. Bookmark the permalink.